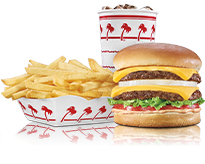 In-N-Out Burger - Anaheim, CA, 1168 State College Blvd.. Welcome to our restaurant in Anaheim, CA. NE corner of State College and Ball; W of the 57 Fwy.